This is some pseudo-Eastern philosophy adopted, embraced and promoted by the Flower Children of the 1960s and 1970s that is still making its mark to this very day. Now, I am not knocking anyone’s culture but it’s time out for this imitating and metaphysical babble, that has folks able to cite a metaphysical, theological thesis yet, they still broke, unhappy and living a miserable life. I mean come on…”You’re made in the image of God but you’re broke? Don’t have a happy marriage? Your kids are all helter skelter? But you’re a god or goddess right?” Ummm…that ain’t MAA and MAA doesn’t haven’t anything to do with that because Maa is not karma! Maa is simple and plain, cause and effect. Maa is justice. Maa was the first thing Nebertcher – The God of All Things or Nzambi – created after coming into being according to Kamitic theory, in order to bring balance and order into the Universe. It is because of the maa what goes up must come down, every right has a left, man and woman and all of the other dualities in the Universe exist. That’s it! When things are going good it is because maa exist. It is like a delicious entree, when the seasonings are balanced the dish is delicious. They same applies with life. If the spiritual of KAMTA and the physical components of TASETT are in balanced. Then life is able to evolve, grow, etc. and this has nothing to do with karma. Maa is not about if you get smacked take it. Unless, you have an ulterior motive like Dr. King, maa says defend and protect yourself from harm. If an injustice is being committed, maa says speak against it, shame Set (the Kamitic devil) and uplift the Kingdom of Osar. That’s what maa is all about! This whole thing about karma is foolish because we have the Western ideaology of it (not the full Eastern concept) and if you’re waiting for karma to restore balance because of injustices done recently or hundreds of years ago. Ummm. It’ll never happen at least not in our lifetime because it is a dogmatic concept that was created for the masses. This is the reason why so many people spend their time worrying about their karma instead of creating positive changes in their life. Maa is what makes positive change possible. Maa states that if you put forth the effort to make a positive change, you will find an equal amount of spiritual assistance on the other side in KAMTA supporting your effort. Maa states that if you do what’s right now, you will be protected in the future. Make positive investments in your children now and in the future they will care for their elders. Give birth to revolutionary change now and the children of today will restore the way of the ancestors. That’s BALANCE. That’s ORDER – That’s Maa. 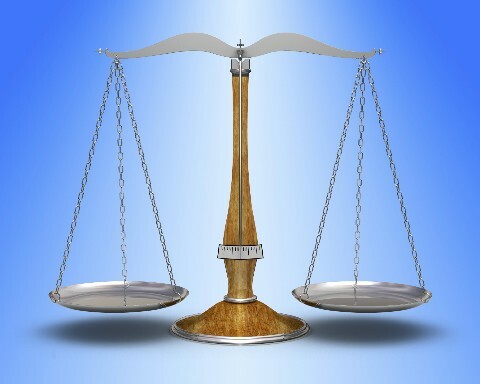 It is a balance of action that establishes JUSTICE and ORDER, so that when we physical die. We can have a light ab (clear conscience). And, so that there is no ambiguity, a clear conscience is being able to stand before God and your ancestors and justly state your actions and behaviors. It is God and your aakhu (ancestors), who are the only ones you should be living for in the first place. So, people need to get off that karma trip, and go out and create the life that they want. Right now. Right NOW. RIGHT NOW. Because by not doing so. You are doing yourself a disservice and those who could benefit from your gifts and talents a disservice as well. In other words, you are not living maa, evident by your unhappiness, lack of success, etc. Need some help? Then petition your aakhu to help you to establish a relationship with Maat, so that she can bring balance and order into your life. If you do this with faith. Your Maat will reveal herself to you.